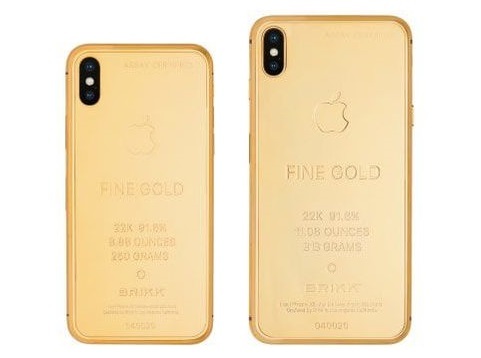 A luxury customization company called Brikk has created a solid gold Apple iPhone XS Max that costs US$94,995. The device features 313 g (11.08 oz) of 22K gold and is appropriately part of the firm's Ingot Collection. 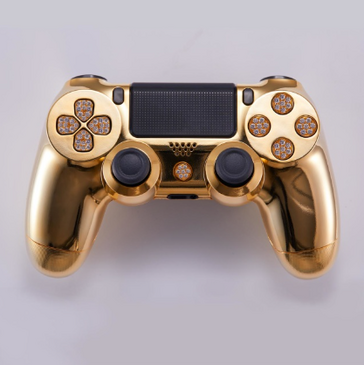 Brikk has also developed a gold DualShock 4 controller, featuring diamond-studded buttons, available for US$13,995. 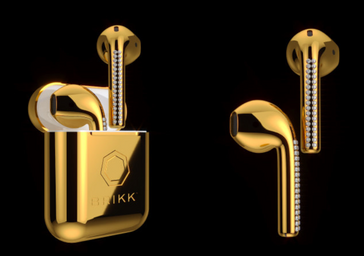 A rather opulent set of AirPods with a whole carat of diamonds on each bud can be snapped up for US$9,995. If you’re the sort of person disappointed by Apple’s current pricing policy – in that paying US$1,449 for a flagship simply isn’t extravagant enough – then Brikk may be able to offer a solution for you. The customization company currently has a wide range of luxury iPhone XS/Max devices up for grabs, from the considerably pricey Lux iPhone XS Classic that offers a smartphone decked in two layers of gold for US$9,995 up to the eye-wateringly expensive XS Max Ingot, which is basically an ingot of gold with a flashy smartphone incorporated into it. You’ll have to part with US$94,995 for that version of the iPhone, but at least it’s the 512 GB variant. Brikk isn’t just restricting its decadent customization work to the latest iPhones though. There is the diamond-encrusted DualShock 4 controller available too, or gift-hunting billionaires can also choose from a range of AirPods that are available in gold, rose gold, or platinum and come with or without diamonds. 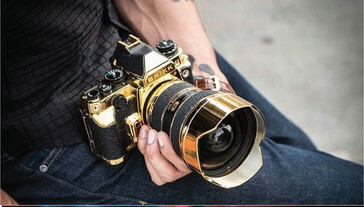 There’s even a modified camera for loaded photographers: The Lux Nikon Kit delivers a Nikon DF camera and lens that is smothered in gold and stingray leather. Expect to pay US$57,995 for this fancy piece of kit. If you feel spending almost US$100,000 for an iPhone is shocking, then you may want to look away now. Brikk’s website also offers “special editions” of the Apple flagship, including one that has a case made from an actual meteorite. But the real big spenders will want to shift their focus to the Royal Jade Edition of the iPhone XS, which can be customized using the company’s concierge service and cost, depending on the work involved, up to US$3,000,000. 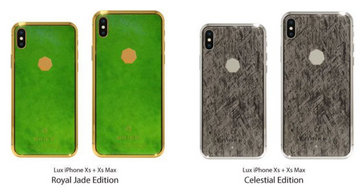 At least having a solid jade case should help solve any creaking issues the iPhone XS Max exhibits.